This Asian inspired home of Carol Dey designed by Peter Wilds (formerly of The Cross), is simply beautiful. I love the pastel colours and mix of old; with a pretty antique wardrobe, vintage suitcases and lamps and the new with the Tulip chair. Photographed by Janis for Anthology. I could definitely live in this home. In fact it's inspired me to paint a wall in my home in a pastel. The only thing is my man - he's not going to let me get away with a pink wall. Thankfully he's a little colour blind though :) The other difficulty is finding the exact shade of pink. I think Victoria of SF Girl By Bay gets this right in her home. So good to see some colour. 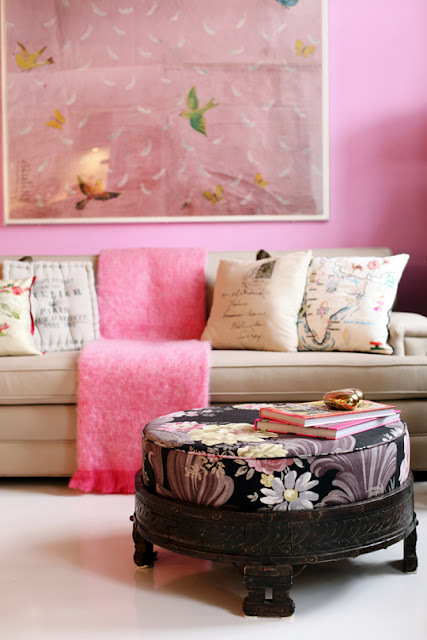 Ha, my guy would never go for a pink wall either, but we can live vicariously through these photos! What clever design, I totally pick up all the Asian influences despite how mid-century and modern a lot of the pieces are. Really well done and beautiful! 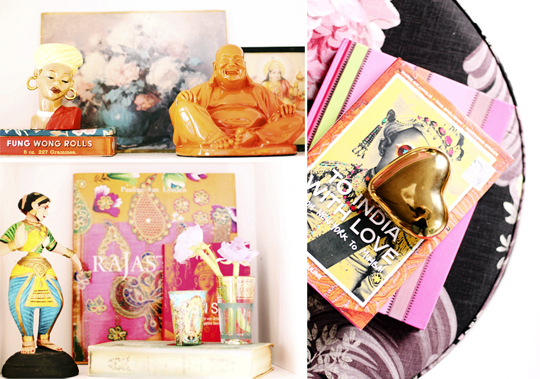 Gorgeous colours and so inspiring. *cannot wait to commence the Pinning! What a great use of color! 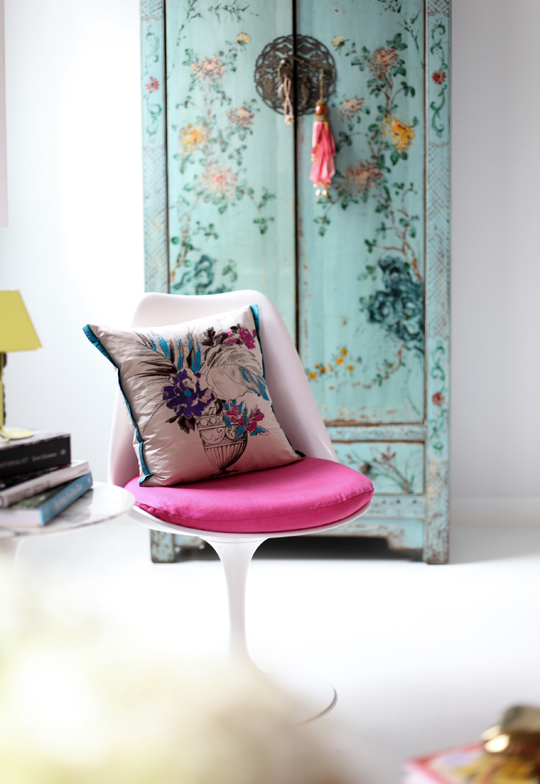 Love the pink cushion on the tulip chair. 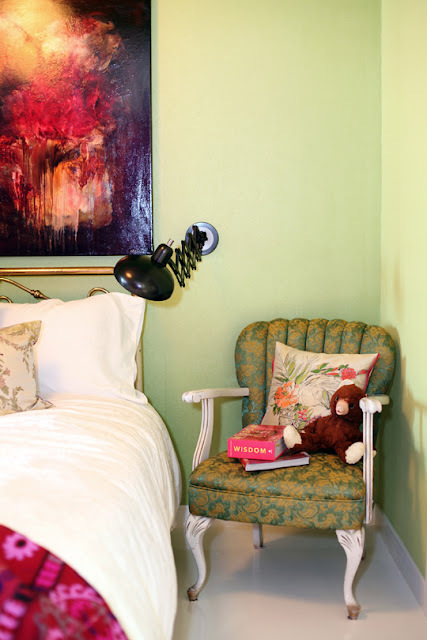 Fabulous layers of color—one can almost feel the bright, cheerful feel of this home just by looking at the pictures... I adore the table & chairs most of all! You can see the bubbly characteristic of this home through the pastel colors used for the theme. Very chic and cozy. A pretty place a girl would want!